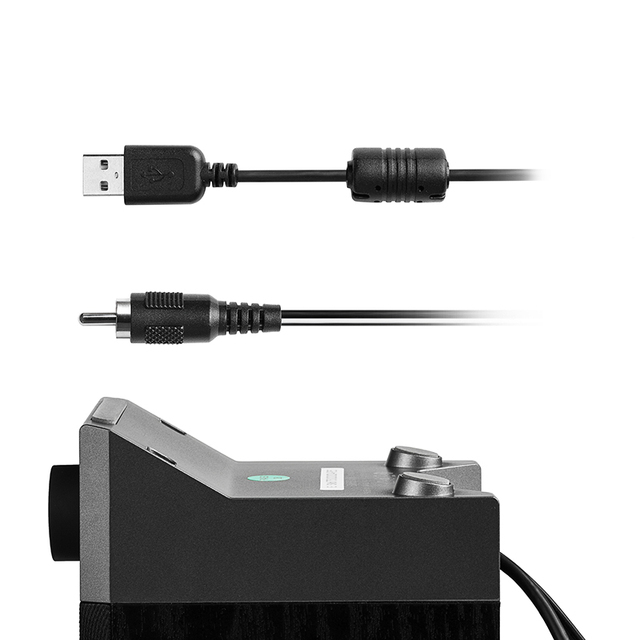 3.5 mm AUX cable allows versatility in connecting smartphones, tablets, and game systems for a detailed sound performance. 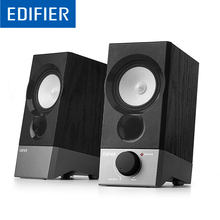 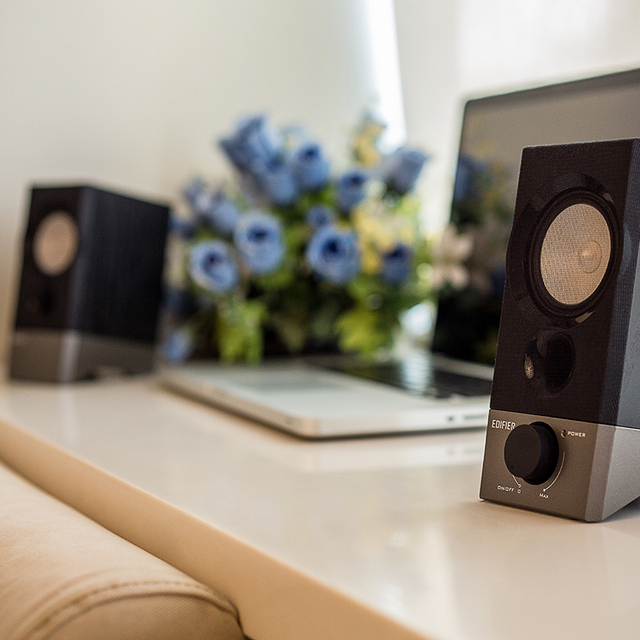 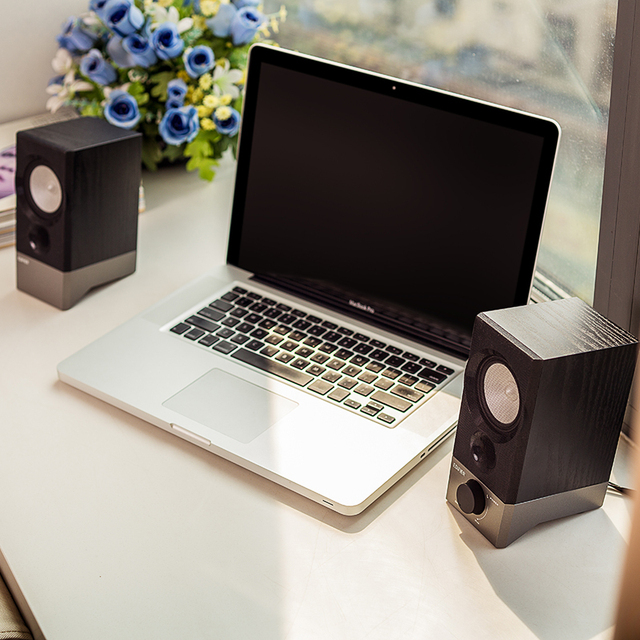 Both speakers are uniquely designed with black wooden closure and elegant grey base — a stylish addition to any desktop layout. 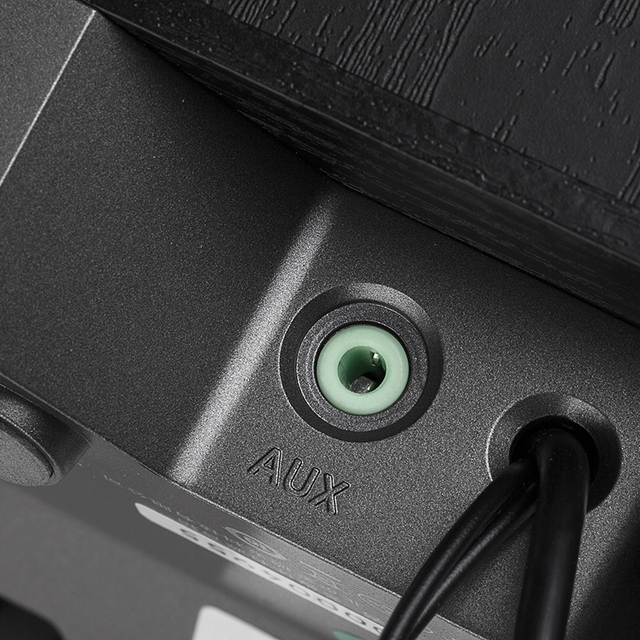 You can effortlessly control R19U with a stylish integrated knob in the front. 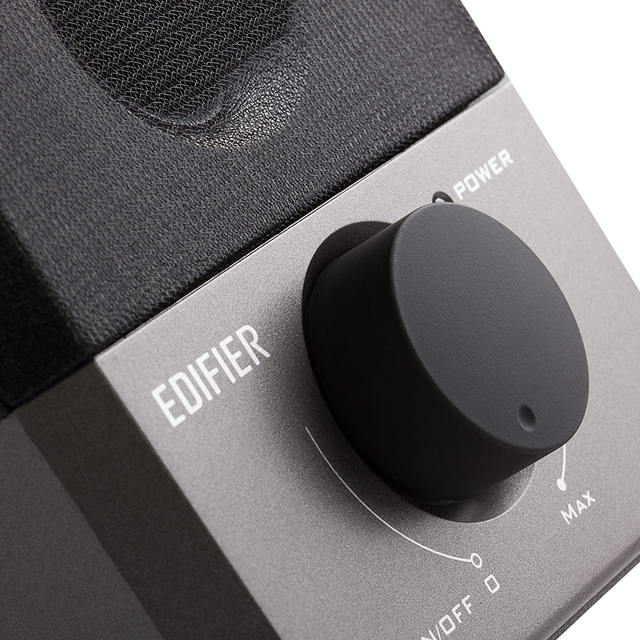 The large, matte-finish knob deftly controls both volume adjustments and power. Less fuss, more fun.